Like I mentioned last week, today I'm sharing an outfit that I've worn IRL but never on the blog -- until now. I've owned this cut-out shoulder top for about two years, and I actually bought these suspender overalls last fall. I wore them to an event during NYFW in September, but completely forgot to photograph them for the Muse, so now they finally get their day in the sun. 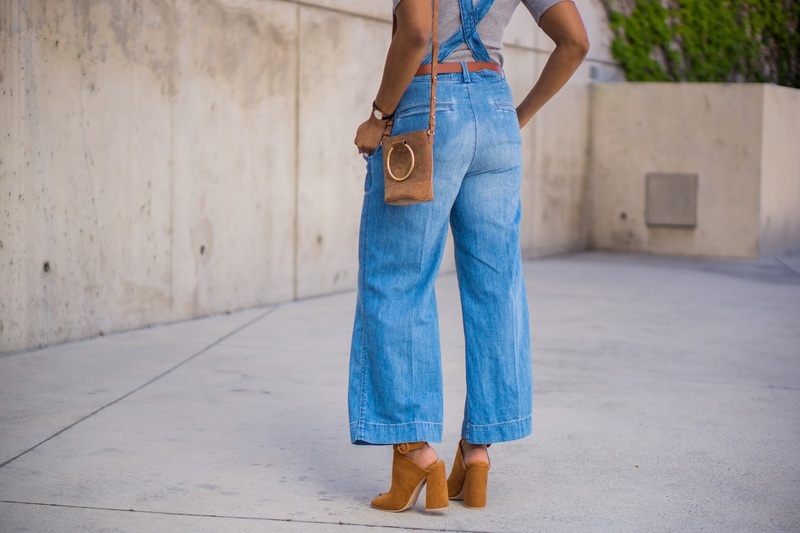 Thanks to Rach and this post for reminding me that I own these suspender overalls. So obviously, what makes this look different from these overalls is the suspender design. This allows you to really showoff your top so it kind of comes across like a two-piece look. And the suspenders here are connected to the wide-leg bottoms with buttons, so you can easily unbutton them if you want a truly separated look. 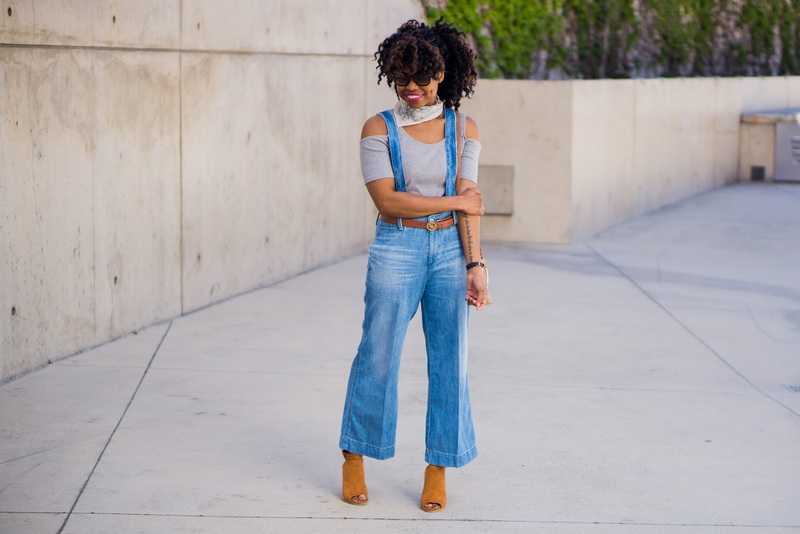 With overalls, in general, I like to pair them with tops that do something cool with the shoulders: cut-out shoulders, off shoulders, etc. And I'm adding a little scarf love like Tanvi in this post to complete the spring style. 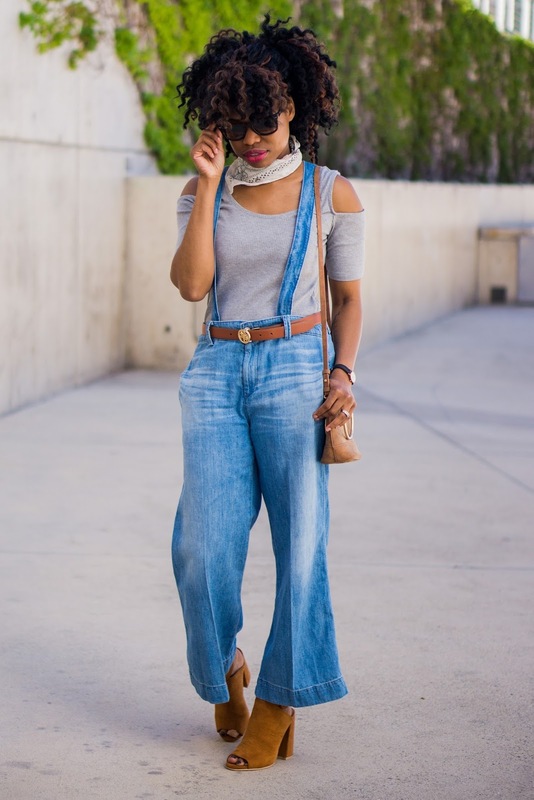 What do you think of suspender overalls? Love this look and your sandals are awesome. Cannot wait to hear about your cool sculpting experience. Love that you can still show off a gorgeous blouse with these! So cute. This is literally the cutest!! Thank you for the style inspo lady!! Love love love it!!! I really like how yours is cropped style! Love love this whole look! SO cute girl!! And yes, do a post on CoolSculpting.. I would love to learn about it! Thanks for sharing. These overalls were made for you!!! SO CUTE!!!! These overalls are SO gorgeous! These overalls are everything!!! Love this entire look!! Oh I think I like suspender style overalls even better than traditional style overalls! It's like the best o both worlds! These are so cute! I love that it's a different style with the suspenders. You look fabulous! Oh these are super cute. I would love to wear them with a shabby tshirt and an up-do, you've made them look super classy though! You look so cute! I love suspenders! I love these overalls! It's a totally different take on the trend -- one I can actually see myself wearing. You've styled them to perfection here! You are totally rocking these! Absolutely love them on you! This is seriously one of my fave looks of yours ever! I LOVE those little overalls! Oooo - I'm so tryig cool sculpting! I have this egg-shaped fat deposit on one thigh that never goes away despite how much I work out!! I've never seen suspender overalls like this before - interesting silhouette. I like that it doesn't cover up your top half of your outfit. I had never seen anything similar - these are lovely ! You are totally rockin these overalls girl! Love how you styled it! I definitely enjoy the playfulness of this look, and the suspender style is so unique. Such a Cute look for a lunch date and I am loving the Hair too. Kudos!! I'm loving everything about this look and your super cute shoes. Suspenders are definitely having their moment again, and I love it. Lovely outfit dear! 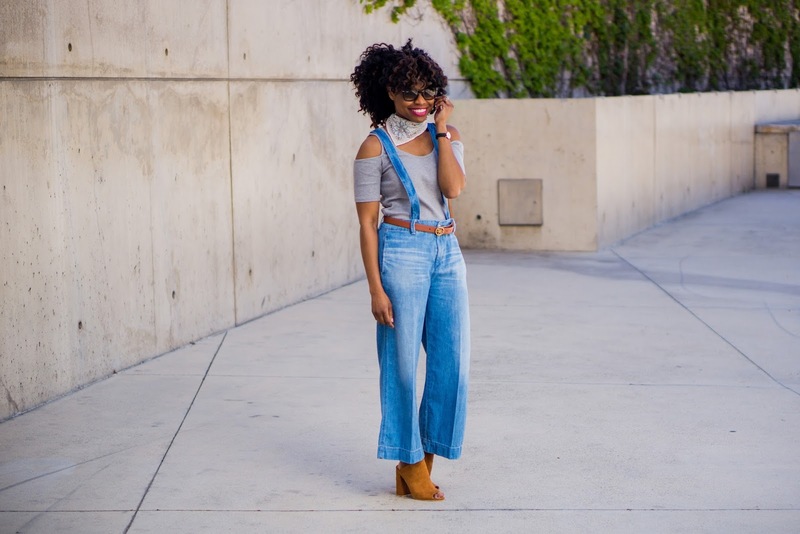 Like how you styled the blue jeans with grey cold-shoulder top. Such a cute street casual look. I have yet to find a pair of overalls that I love the fit of. These look great on you! This outfit is perfect for drinks and going out with friends. Loving this retro look- I could never pull this off but looks great on you! 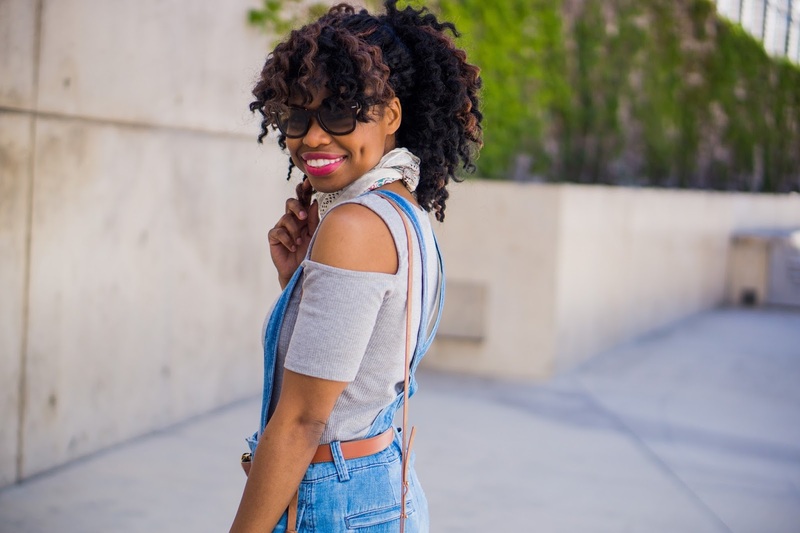 Oooh, you are rocking these suspender overalls, babe! So cute!